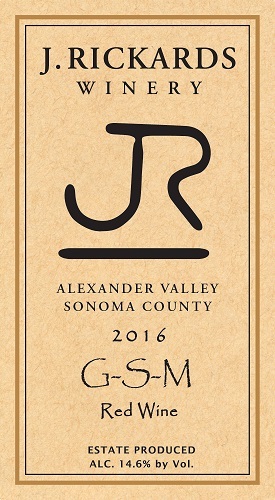 This versatile blend combines Old World character and complexity with the luscious ripeness that only a perfect Alexander Valley growing season can bring. Three traditional grapes -- Grenache, Syrah, and Mourvedre -- were blended to create a medium-bodied red wine that balances round fruit flavors with earthy structure. Aromas of dark plum and savory spice lead to lush flavors of blackberry and tart cherry. This wine is a wonderful accompaniment to grilled meats of all sorts. but the wine's earthiness pairs perfectly with wild game!